Greg Pankhurst is a Clinical and Counselling Psychologist with over 20 years’ experience. Greg is passionate about helping people develop capability, wisdom and resilience for everyday life. Greg assists clients to get to know their own patterns of living, find their direction, and move toward their goals more consciously. Greg is especially experienced with anxiety, depression, trauma, work issues, as well as relationship and family issues. Greg is an experienced couples counsellor. He has worked in the community and church sectors, corporate psychology as well with military and emergency services. Greg has also worked as a privately practicing psychologist for 15 years. 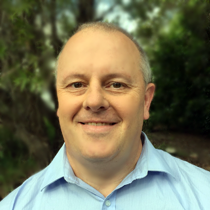 Described as having a gentle, empathic, conversational approach, Greg assist clients to accept themselves and find their best solutions to whatever they may be facing. Greg is located in our Blaxland office on Tuesdays, Wednesdays and Thursdays, and in Penrith on Friday’s.